Since 1974, Larry has been working in the construction trade. He spent 25 years working as a bricklayer and mason. He owned two masonry contracting companies where he worked with his wife and two of his sons who are also bricklayers. 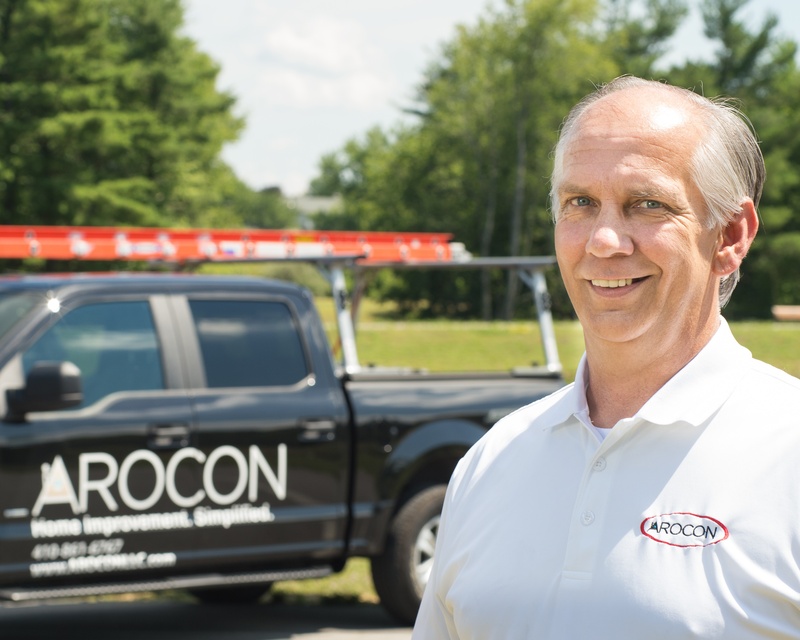 In 2013, Larry decided it was time for a change, and brought his expertise and deep knowledge of commercial and residential construction to AROCON as a Project Consultant. When Larry isn't busy assisting customers with their roofing needs, he enjoys spending quality time with his family, playing music and fishing. AROCON Roofing and Construction Company is very renowned and well known in Maryland. The employees are very punctual in reporting for the assigned work and very courteous in their dealings. They finished the work at my place on time and always kept the lawn around the house clean.I can ask any question and always get a proper answer. AROCON was flexible and accommodating. There is always somebody in the office to respond to your inquiry.If there is a problem, just give a call, somebody will be there to attend to it.I am very much satisfied with their dealings. Great! From the original visit for quote preparation to the final installation they came when they said they would and did what they said they would. They completed the roof in one day with extra manpower because rain was forecast for the next day. A great company to work with! They were very friendly, accomodating, the price was low and they did an amazing job in one day, they were done by 5:30 after removing a slate roof first, then installing the asphalt one. They cleaned up so well afterwards the whole yard looked like new! They were recommended by a friend, and I am so glad I used them! I highly recommend them to anyone in need of a new roof!